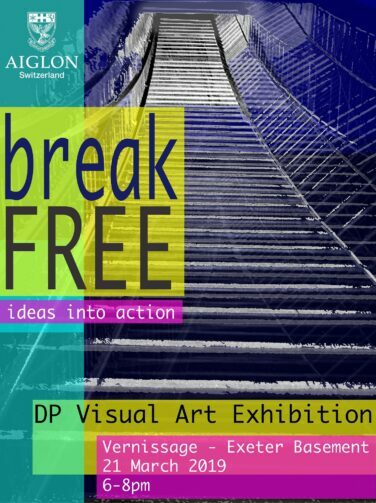 IB Art Vernissage: "Break Free, ideas into action"
For the past two weeks, the basement of Exeter house has been transformed into an Art Gallery featuring the impressive collection of works by our Year 13 IB Visual Art students. 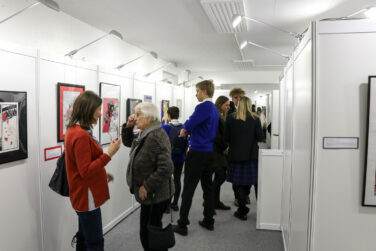 On the last night of term, parents and local friends were invited to come to a vernissage and discover the students' collections. 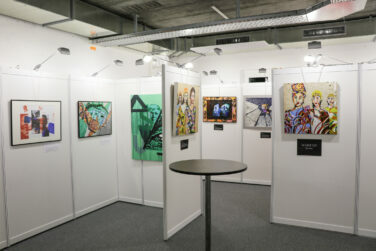 Each student had their works displayed as a unit and was present to explain the theme behind their work. 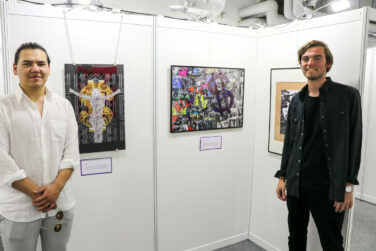 Head of Art, Mr Willett commented on the student's hard work, "The end of term was busy for the thirteen arts students who presented their work at a vernissage at Aiglon. 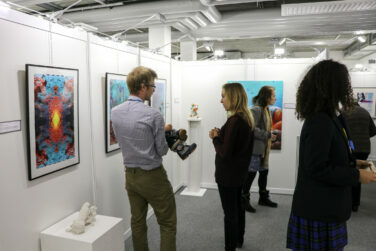 With over one hundred guests over the two days, visitors commented on the 'genuinely impressive and diverse exhibition. It showcased the capabilities of our students in a highly professional way'." What is even more impressive about these students is where they are heading after Aiglon. Three have secured places at Parson New York, one at the London College of Fashion, one to Birmingham College of Design, one to University of Art London and one to the highly selective Architects Association in London. Mr Willett continued, "As a team we are proud of these students success in securing places beyond Aiglon. This gives us the confidence that what we are doing is good art education. They have worked hard and they should be proud of both their work here and their university placements. We wish them all the best!" The IB Diploma Programme helps to explain the high-level of achievement expected of its students, "[The Visual Arts Course] is a thought-provoking course in which students develop analytical skills in problem-solving and divergent thinking, while working towards technical proficiency and confidence as art-makers. In addition to exploring and comparing visual arts from different perspectives and in different contexts, students are expected to engage in, experiment with and critically reflect upon a wide range of contemporary practices and media. The course is designed for students who want to go on to study visual arts in higher education as well as for those who are seeking lifelong enrichment through visual arts." We are proud of our students high-level of achievement and the personal investments made to achieve such a successful presentation of their work. We hope this vernissage is just the beginning of our ability to continue celebrating these achievements and developing our students in their artistic expressions.